The NASAMS Canister Launcher, firing an AMRAAM missile. Image via Raytheon. Australian companies are being called on to participate in the LAND 19 Phase 7B Short Range Ground Based Air Defence (SRGBAD) project through a new supplier portal. Minister for Defence Industry Christopher Pyne has launched Raytheon Australia’s LAND 19 Phase 7B Supplier Portal in a bid to get more Australian companies involved with the project, estimated to be worth up to $2 billion. The system provides ground-based air defence against fixed wing aircraft, helicopters, cruise missiles and unmanned aerial systems. 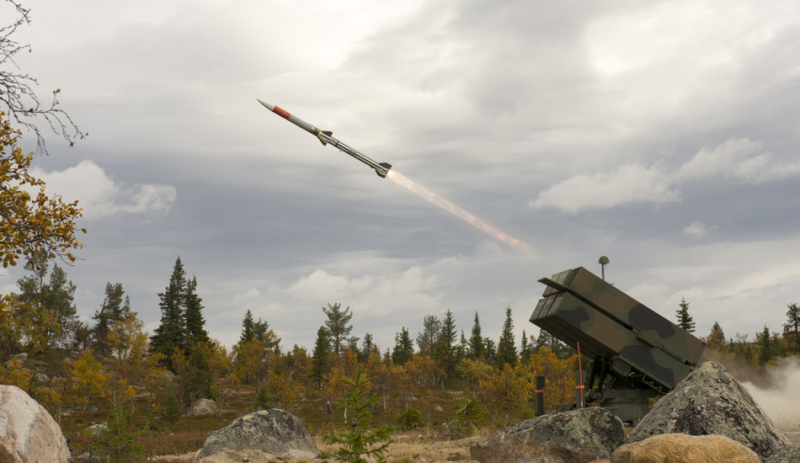 The project will deliver the Army’s future SRGBAD capability based on the proven National Advanced Surface to Air Missile System (NASAMS), which is fielded in seven nations, including the US. Minister Pyne said participation in the project will help identify export opportunities for Australian companies. “We want to create as many local jobs as we can and Raytheon’s response has a strong focus on identifying opportunities for Australian companies to participate in the project,” said Minister Pyne. "The portal will allow Australian companies to register their interest in areas such as component manufacture, assembly and test, systems integration and in-country sustainment. "This portal is the first step in engaging local industry, in particular, small and medium enterprises, to develop the partnerships needed to deliver a world leading SRGBAD capability. "It’s fantastic the process will also identify export opportunities for Australian companies to support future NASAMS programs internationally as part of the global supply chain." Defence and Raytheon are currently investigating mounting missile launchers on Thales’ Australian-made Hawkei vehicles and using Canberra-based CEA Technologies’ radar. Raytheon will conduct a series of industry showcases in every capital city later this year for companies that register on the portal. The cut-off date to register on the portal is 25 October. The dates for the showcase events will be announced soon. Businesses can access the portal here.